It’s true that each and every student out there has their own unique educational needs. While it is the job of every teacher to learn how to cater to these needs as adequately as possible to grant every student a thorough education, teachers of students with multiple or severe disabilities have a more complex job to fulfill in this regard. It will be your job to help your students navigate academically in the face of the extra challenges brought forth by their disabilities. Naturally, this job requires quite a bit of care and practical knowledge, much of which can only be gained through thorough training. To prove you’ve fulfilled all the proper requirements for the job, the state of Oklahoma requires for you to earn a passing score on the OSAT Severe-Profound/Multiple Disabilities exam. If you expect to take this exam in the near future, finding the right study tools is your first priority. The Mometrix Test Preparation team is here to help with our OSAT Severe-Profound/Multiple Disabilities (131) practice test. 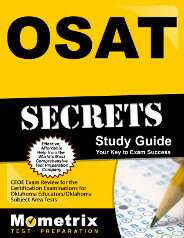 Thanks to careful research, this practice test serves as a comprehensive and accurate mirror to the full exam, making it perfect for those looking to familiarize themselves with OSAT content. The exam features a total of 81 OSAT Severe-Profound/Multiple Disabilities questions, which split into two different answer categories. The first is “constructed-response,” or an essay question. As the smallest category at only 15 percent of the total test content, this portion of the exam deals with only one subject: Case Study—Analysis of Data to Identify Individual Learning Needs. 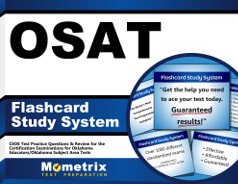 Our OSAT Severe-Profound/Multiple Disabilities practice test works well when used either alongside our corresponding study guide, or standalone. We encourage you to utilize this 100 percent free study tool in whatever way helps you feel the most prepared. Study hard, and good luck!